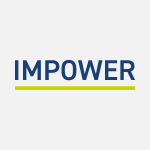 IMPOWER ran a fringe event at the Scottish National Party (SNP) annual conference in Perth last Thursday. We rather grandly called the session “The Future of Local Government in Scotland”, and we were quite pleased with how it went: it was reasonably well-attended and there was a lively discussion among attendees. Despite its deliberately provocative nature, our closing question “What is the point of the SNP in local government?” prompted a measured response, with most contributors agreeing that the party and its elected councillors need a more compelling story to tell on the main issues facing local public services in Scotland and especially in finding a way of re-engaging with their communities. To be fair, this is not unique to the SNP. The news and political discourse in Scotland has for the past year been absolutely dominated by talk of national change, probably inevitable with a referendum on Scottish Independence set for October 2014. No one would dispute the importance of that poll but the danger is that the very real challenges facing our councils and their communities go ignored for the next two years. Because like it or not we are living in times of financial as well as political uncertainty. Even in a devolved Scotland, we face the double whammy of falling budgets and rising demand for services. Against a backdrop of a 12.5% reduction in available resources, figures released this month predict a £4bn backlog in roads & public building maintenance, waste management costs rising to £580m and health & social care for the elderly rising to £3.6bn by 2030. These challenges are not only immediate, but they require a creative response. But just how creative and imaginative and different are we in Scotland? Hot on the heels of this article in the Economist, a colleague today sent me a similar piece from the Financial Times. In short, both pieces applaud local authorities for successfully displaying an appetite for innovation under pressure: citing the Demand Management work being undertaken by Buckinghamshire County Council; the co-operative council approach of using the skills and assets of local people to change service delivery used by Lambeth, Oldham and York; or the Commissioning Council approach exemplified by Barnet in handing some services to a range of private and third sector providers. Several other councils are mentioned…but not one from north of the border. And yet there is important stuff happening in Scotland. Indeed, right now we are seeing some of the most profound changes to local government in Scotland in 20 or so years: Health & Social Care integration represents a big change to the way we deliver local public services here; as do significant enhancements to Community Planning Partnerships and structural reform of Police & Fire Services. But these have been largely driven by the Scottish Government rather than local authorities themselves. Where are the bold, creative, innovative councils in Scotland? Who is coming up with a compelling narrative or purpose for local government up here? One that accommodates the need to reduce costs and achieve ever more challenging outcomes? Irrespective of political persuasion, councillors in Scotland have a unique opportunity before 2014 to do something special. This is a once-in-a-generation opportunity to think creatively about how we solve our national AND local problems. David Welsh is a Director at IMPOWER. To contact him to discuss this blog please e-mail dwelsh@impower.co.uk or call 020 7017 8030.